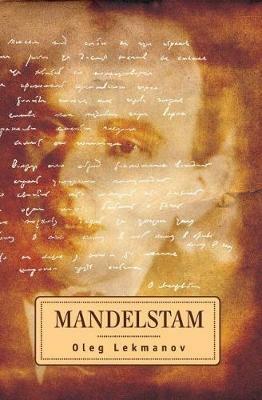 Now available for the first time in English, Oleg Lekmanov's critically acclaimed "Mandelstam" presents the maverick Russian poet's life and work to a wider audience and includes the most reliable details of the poet's life which were recently found and released from the KGB archives. Through his engaging narrative, Lekmanov carries the reader through Mandelstam's early life and education in prerevolutionary Petersburg and at the Sorbonne in Paris and in Heidelberg and his return to revolutionary Russia. Bold and fearless, he was quoted saying: 'Only in Russia do they respect poetry. They even kill you for it'. Osip Mandelstam compared a writer to a parrot, saying that once his owner tires of him, he will cover his cage with black cloth, which becomes for literature a surrogate of night. In 1938, Mandelstam was arrested and six months later became a statistic: over 500,000 political prisoners were sent to the Gulags in 1938; between 1931 and 1940, over 300,000 prisoners died in the Gulags - one of them was the poet Osip Mandelstam. This is the tragic story of his life pre-empted by the black cloth of Stalinism. Oleg Lekmanov is a professor at Moscow State University. His main interest has focused on Russian poetry of the twentieth century. Dr. Lekmanov has authored over two hundred articles and his latest papers explore the creative writings of O. Mandelstam, A. Akhmatova, and A. Solzhenitsyn. He is the author of Book on Akmeism (2000) and Sergei Esenin (2007, with Michail Sverdlov).